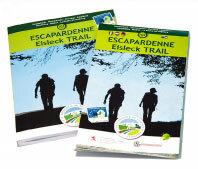 Consolidated under the umbrella of the Escapardenne, two ‘Leading Quality Trails – Best of Europe’ with total length of 159 km, traverse the Belgian-Luxembourg Ardennes. 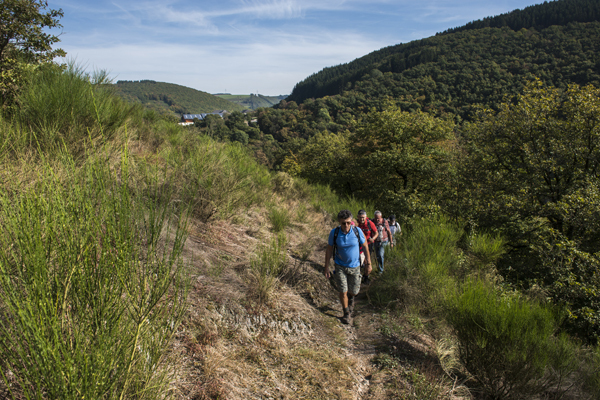 The shorter Lee Trail leads from Ettelbruck to Kautenbach across narrow paths past countless slate ridges, through the quiet valleys of the rivers Sauer/Sûre and Wiltz before it finally joins its bigger brother, the cross-border Eislek Trail. Starting from Ettelbruck station (L), you will take numerous natural little paths, follow countless rocky ridges (“Lee”) and cross the Sauer valley several times to then climb back up towards the high, exposed Ardennes plateaus and savour the impressive panoramic views over the meandering bends of the Sauer. Signposted in both directions and divided up into 3 days of walking, the Lee Trail passes through ten small villages or hamlets to link the village of Kautenbach and its train station. We wish you all a pleasant trip! • 1 towns and 10 villages or hamlets crossed.